so dig in. It’s raspberry season all the time. The basket I used is an actual fruit basket that my family picked berries with along time ago. 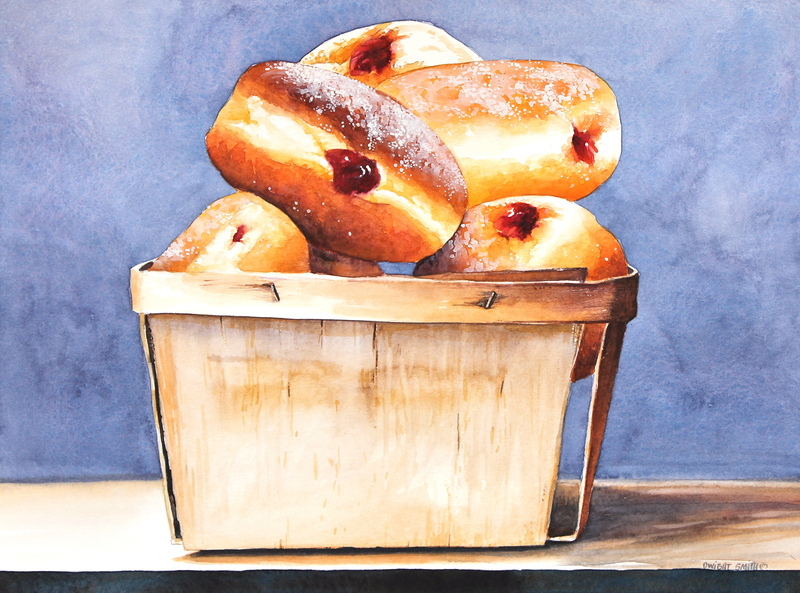 If you haven’t figured it out by now I love humor in most of my still life, food themed, watercolors. Thank you for visiting my art. This still life watercolor is available for sale at, UGallery.com. You can get there from here.